Tickets: €22.50 – Buy Now! 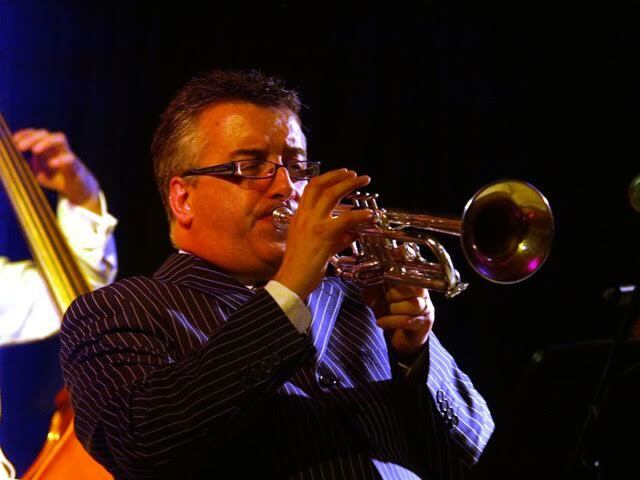 Linley has been a part of the Irish music scene for over thirty years and since then he has juggled a career as a trumpet player with being a BBC Jazz Broadcaster and an educator. There have been many career highlights in the past with significant performances or recordings with Paul Brady, Van Morrison, Foy Vance, Jacqui Dankworth, ASIWYFA, Oppenheimer and Gareth Dunlop to name a few, but he is working just as hard as ever these days and is celebrating success with his own recent albums ‘Taylor Made’ and ‘In Transition’, which he recorded with his quintet of Johnny Taylor piano, Julien Colarossi guitar, Damien Evans bass and Dominic Mullen drums. The last ten years has seen a concerted effort to reroute himself back to Jazz, and in 2009 he graduated from DIT Dublin with a 1st Class Masters in Jazz Performance and the celebrated Student Academic Medal. 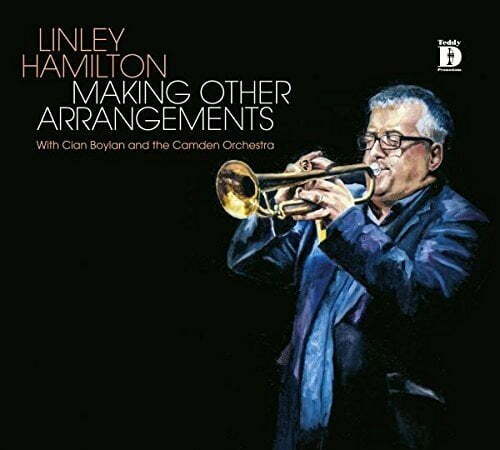 Since then he has completed his PhD in Jazz Performance at Ulster University Magee, and is now as such, ‘Dr Jazz!’ His Radio Show enters its tenth year on Friday nights at 10pm on BBC Radio Ulster, ‘Jazz World with Linley Hamilton’. Cian has over twenty years experience as a professional session pianist and keyboardist. He has performed and recorded with many leading Irish and International pop and rock artists, including Van Morrison, Sinead O Connor, Gregory Porter, Ella Henderson, The Blades, George Michael, Sister Sledge, Imelda May, Camille O’Sullivan, Jerry Fish, Declan O’Rourke, Mundy, Cathy Davey. Recent Film and TV composing and arranging work include Golden Bear nominee RETURN TO MONTAUK starring Stellan Skarsgard and Nina Hoss by Oscar Winning director Volker Schondorf, Oscar Nominated The Lobster featuring Colin Farrell, Rachel Weitz, and John C. Reilly, Bafta Award-winning of Amazon Prime/BBC TV Series Ripper Street (Seasons 2 to 5) starring Matthew MacFayden, Discover Channel’s Harley & The Davidsons starring Michael Huisman and Dougray Scott and RTE/BBC series Can’t Cope Won’t Cope. 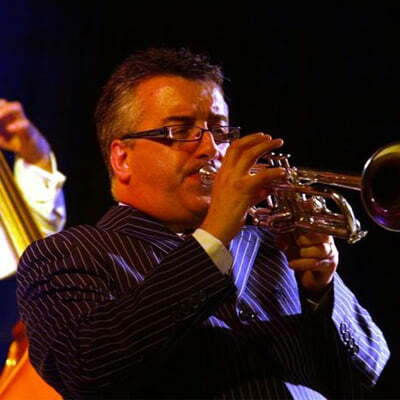 His arrangements have been performed by the RTE Concert Orchestra, The Sofia National Orchestra, Ulster Orchestra, Irish Chamber Orchestra, Dublin City Jazz Orchestra, San Diego Brass Ensemble amongst many others. He has performed in many prestigious venues and concert halls around the world, including Europe, USA, Russia, China, Japan, South America and the Middle East. 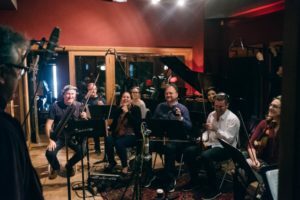 Limerick Jazz are thrilled to have this project performed for the Festival and in addition it will feature an all limerick rhythm section Joe O Callaghan guitar, Peter Hanagan Bass and John Daly drums and a first collaboration with some of the members of the ICO. Good times ahead.